Ok, I like these way better. Thanks to everyone for all your suggestions. Adding the ribbon and the tag was a great addition. Now they don't look so "flat" Directions can be found Here. I made these for an order. I hope she likes them. I can't seem to get a hold of her cause her e-mails keep coming back to me. I have made her several gift sets before and she was happy. I am just going to send them to her and keep my fingers crossed. 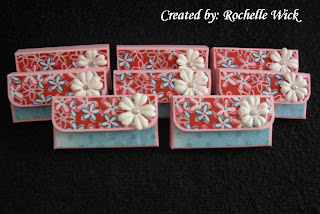 Here are the stamped candles I made for the gift set. These are super fun. Here are the directions from splitcoast. I do mine a little different though. I don't cut out my images on the tissue paper. I measure my tissue paper to go around the candle, then stamp on it. Then I get a piece of wax paper. 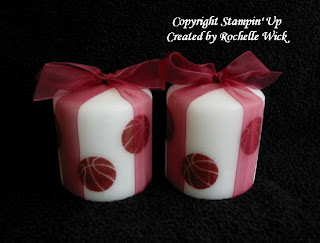 I wrap the stamped tissue paper around the candle and then wrap the wax paper around that. Then pull it tight around the candle and heat it with the heat gun. 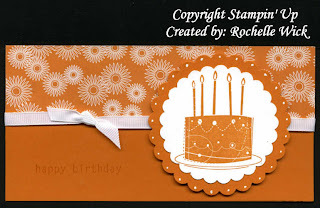 You can use solid stamps like I did or you can do out lined stamps and color them with markers. I get my candles from the dollar tree. 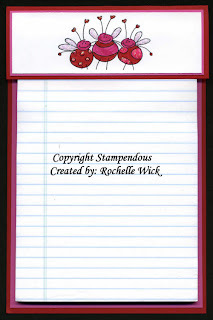 I think I am going to do a stamped candle in my next parks and rec class. Accessories: Tissue Paper, Wax Paper, Heat Gun, Candle, Organdy Ribbon. I made these for a gift set that I am working on. The colors are maroon and white. The best I could come up with is Bravo Burgundy. I think they turned out cute. The rest of the set has gum holders, stamped candles, bag toppers, beaded pens, and a card holder with cards and envelopes. 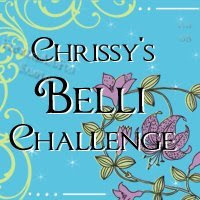 Which I will be posting this week. The white strip around the candy bar is crimped but hard to see in the picture. 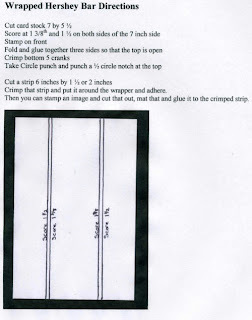 Here are the directions for making the Hershey Bar Wrapper. I made these carrot boxes for an order. They are filled with Jelly Beans. I like them but here is the problem, I think they look plain. Do I need to put something on the outside of the box? I had made these a couple years ago for my daughters class for Easter and I put a greeting of Happy Easter on the outside. It is a really large greeting and I didn't think it looked that good. 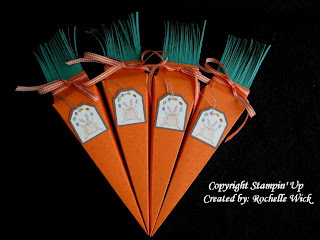 I also thought maybe I would put a stamped bunny on them or a hanging tag from the greens but then I thought it would take away from the carrot. What do you think? Should I just leave them as they are or should I put something on them? Here are the ones I made before. See what I mean about the big greeting? She taught me how to link a PDF file. Thank you sue, you're my hero! 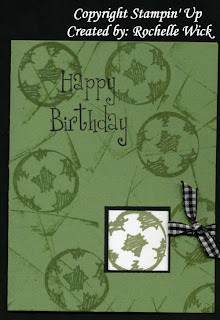 Here is another card I made with the paper I got last weekend. This paper is from a company called Paper Salon. It is double sided and the bottom part is the other side of the flowers. I really like how this one turned out. The greeting is from the retired hostess set so many sayings. I also bought another pattern of the same brand of paper in the same colors. I made this one as a masculine birthday card. I had to add the stickles. I just couldn't help it. LOL I only bought one of each piece but I think I will have to go back and get some more. I really like this paper. Can you believe that this is the first time I inked up Oh So Lovely? I totally forgot that I even had it. Not that I have so many stamps that I can't keep track of them. It was at the bottom of my bin under all my background stamps so I just thought it was another background. I am glad that I did find it cause it looks so good with this paper. Another cool find at my local scrap store. I sponged the edges of the white paper with mellow moss as well as the whole white piece. It needed some softening cause it was super bright. I really like the photo corner. It added the perfect touch. Congratulations to Kimberly!!! Random.Org Picked number 17. Thank you all for sharing your Easter Traditions. 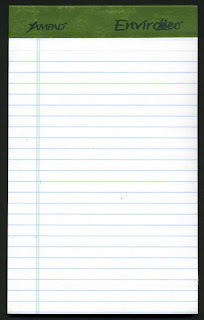 I really enjoyed reading about what you all do with your family. I am a little disappointed that no one rolls eggs like we do though. Seriously, You should try it. The kids have as much fun as the adults. I have been doing it for 38 years and it has been a family tradition since before I was born. This is the only picture I could find of egg rolling. It is from 2003. But you get the idea. 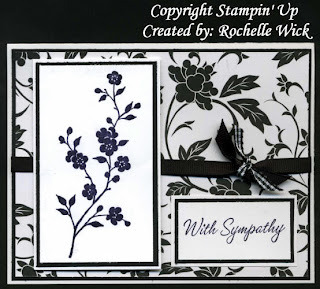 I have never made a sympathy card before. This is my first one. I guess I feel bad about making a beautiful card for such a sad occasion. That and I have never needed one until now. This is for my mother in law. Her sister passed away last weekend on my mother in laws birthday. She was the youngest of 8 kids. Which makes it even sadder. So, I decided to make her a card. I think it turned out beautiful. I really like the black and white. I don't think I have made one of these cards either. I notice on the scan that the flowers are kinda purple. I think I will go over them with the black marker and make them a little darker. Penny Black one a few years ago. The greeting is from my new Michael's stamp. I just inked up the words with a marker so I didn't have the border around it. I hit my local scrapbook store yesterday to get some new paper. I did good, I only got 9 sheets. My youngest (5) had some dental work done this morning and they had to put her under general anesthesia so it was a tramatic morning for me. When she woke up she was crying for her daddy and that was sad. Daddy is in MN right now, he had to go back for a funeral. Molly is a big time daddy's girl and misses him so much. It was sad to see her so upset that he wasn't there. But she is sleeping now and I hope she sleeps for a while. I am going to clean up a little so I can stamp tonight. Can't wait to cut my new paper. 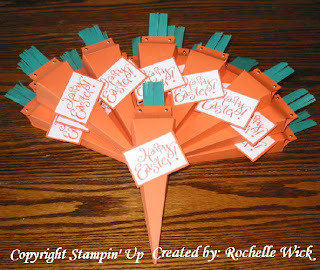 "Easter Stamp Give A Way"
Did y'all know that Easter is on March 23rd? A little too early for me this year. I didn't have anything to post today, I am finishing up a couple gift sets that are long over due. So why not give something away!! I had to go to Michael's to pick up something for the gift sets and BAM! I scored with the $1 Easter Stamps. I got a few for me and a few for you. Leave me a comment on this post and tell me if you have any Easter Traditions at your house. Maybe it is a special dinner you have or someplace you go, or if someone special comes over every year. 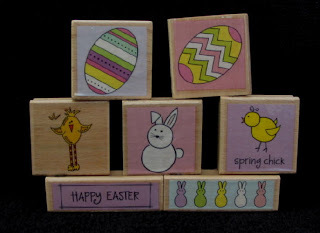 That will get you in the drawing for these cute Easter stamps. I will draw a name on Saturday and announce the winner on Sunday. Good Luck! Here is an Easter tradition that we do. I don't know of anyone else that does it so please if you do this, tell me so I don't think that just my family is weird. LOL We take the colored hard boiled eggs and roll them in the living room. First we get a ramp. Sometimes it is a big piece of cardboard sometimes it is a big piece of wood (like a door) We prop the ramp on a chair. Then we put 3 eggs randomly on the floor. We then give everyone 6 eggs and the oldest goes first and the youngest goes last. We roll one egg at a time and try to smash into another egg. Then the next person rolls one egg. And so on. If you hit an egg you pick up yours that you rolled and the one you hit. The winner is the one with the most eggs. What do you win? Bragging rights for a whole year. Along with being addicted to the Jersey Shore paper. I am also addicted to the long card. It is 6 1/2 x 6 1/2 scored right down the middle. They fit in the SU open ended envelopes. I think they are fun to make. I love making the regular size cards but these are super fun. The only down size is that you can only make one per sheet of cardstock. Here is another long card I made. I decided not to use birthday whimsy on this one. Seeing that is the only stamp I used for two days. I colored the cake with markers and popped the image up with dimensionals. Are you sold on the Jersey Shore paper yet? 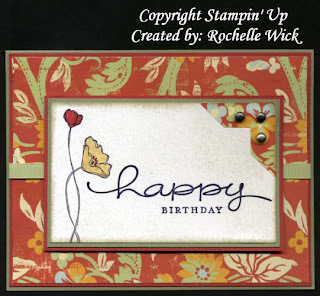 I love love love Jersey Shore DP from Stampin' Up. My order came in Friday and I couldn't wait to bust into this paper. Normally I don't get too excited about pattern paper. I am kinda pattern paper challenged. But for some reason I couldn't resist with this paper. I love it. As you can see I also got my sale-a-bration sets. I got two so far. Birthday Whimsy and Lots of Thoughts. 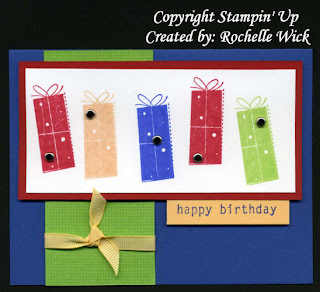 I made like 8 cards this weekend and 7 out of 8 of them were with the Birthday Whimsy set. I added stickles on the cake to add some sparkle. For the greeting I inked up all but the last two lines of the stamp with the brilliant blue marker. The whole image wouldn't fit in the circle. 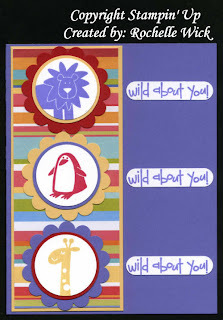 All three cards today can be used for either a boy or girl. That's what I think I like best about the paper. It is not gender spacific. For this one I also added stickles to the cake. I didnt' know what to do with the top of the card so I punched a couple word windows and added brads and glued them on. I think it works great. I didn't wrap them around the card either. I just cut the ends off even with the end of the card. I think this one is my favorite of the three. 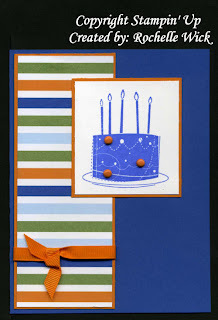 I am going to do this one in my April class as a masculine birthday card. I love how the orange brads look on the cake. I didn't add a greeting yet. I was looking for the right font then I got distracted so I just left it off for now. If I haven't sold you on the Jersey Shore paper yet, stay tuned..... I have a bunch more cards to show you. This one almost turned out how I wanted it to. Don't get me wrong. I really like this card. But the flower placement is a little off. I put the brads in the center of the flowers and laid them where I wanted them and it looked great. But when I went to glue them on, they didn't go where they were supposed to go. Then I had to add more cause I had spaces where there shouldn't have been spaces. So I ended up with more flowers than I had planned. Oh well. I think it still looks cool. I e-mailed it to my friend Shelly and she asked if it would cost more to mail it cause of the weight of all the brads. But it isn't that heavy so I think it will be ok. I got this paper at Joann's. It is one of my favorites. 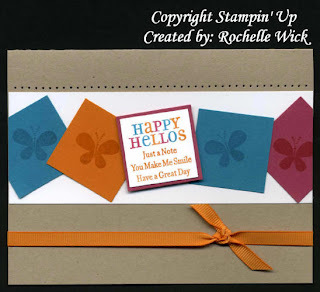 My card is 6 1/2 x 6 1/2 and fits in the Stampin' Up open ended envelopes. I love making this size cards. I also put turquoise stickles on the cats collar. 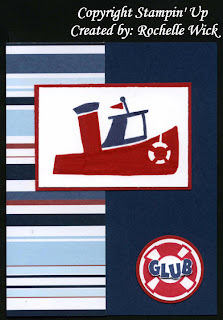 We made these boy cards in my stamp camp. I make the football one a lot for the football fans in the family. I usually make it in cocoa and chocolate chip. Which, I think I like better than the rust one. The cards kinda look flat in the scan but in real life they look better. I never have boy cards lying around so it is good that I have a couple now. Soccer is huge in California so I know I will use this one. There is a piece of vanilla paper on the football card on the inside and a white piece on the soccer card on the inside that the balls are stamped on as well as a greeting. The background is direct to paper. I haven't done a sketch challenge in a while. But I saw that Shelly (papermoon) was the guest sketcher this time. She is so sweet. She comments on all my stuff on SCS so I had to do her sketch. It wasn't easy to emboss the artichoke paper. It was too big for the machine. I managed to do it though and you can't tell that it is double embossed. I also sponged chocolate chip around the edges of the images and on the vanilla paper to soften it, cut out the bananas and popped some up with dimensionals. My card is 5 3/8 x 5 3/8 square. This was a fun one. I don't make the square cards very often even though I like them. 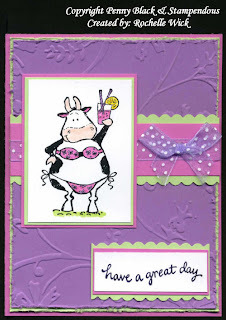 I found another cow image that Kristine gave me. Isn't this one cute too? 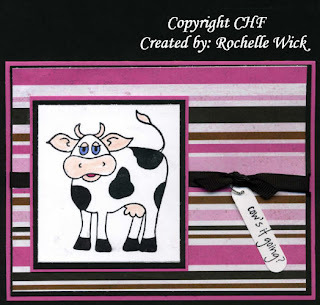 This cow is from CHF. I don't know if the greeting is CHF or not. It was in my stamped image container. Pretty sure I got it from Kristine as well. I didn't get any cleaning done that past three days but today I sure did. My neighbor came over to stamp today and I wanted her to help me move a piece of furniture so I could move my new dining room table down a little so we could fit all 6 chairs around it and one thing led to another and we cleaned, dusted, vacuumed, and moved more furniture around. We had so much fun. We didn't get a chance to make any cards but we had a good time. She says it is fun to clean someone else’s house and I think it is more fun to clean with a friend. That way it isn't so overwhelming. See, we got a new table last month and now I have lost my stamping area. So I needed to pack up all my stuff in bins and figure out where to put them. I don't have the pleasure of having a stamping room. I use my dining room table. So now I will have to figure out where to put all my stuff. Here is another card I made for my nephew. I love it. I am so happy with the way it turned out. I have seen so many cute cards with the circles lately, I wanted to try one. My nephew will love it for sure. Of course I could send him a gum wrapper and he would be happy. He loves to get mail. LOL. I was supposed to be cleaning yesterday. I did some but I could have done more. I couldn't help it. You know what I am talking about. Every time you walk by your stamping table something calls out to you and you just have to sit down and make something. You tell yourself that it will only take a few minutes. An hour later you are still sitting there. You've all done it. I don't know what came over me. I have no self control. The problem is that I printed out the directions for these cute boxes and I just couldn't wait to make them. Every time I walked by the table I saw the directions. Next thing I knew I jumped in head fist and started creating. 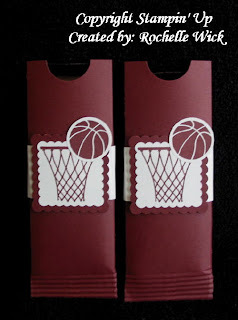 I found these cute boxes while blog surfing last weekend. Check out Sonja's blog. She has some cute things too. The directions can be found here. Sonja used her boxes to put two peppermint sandwiches inside. I saw someone put the kit kats inside on SCS. I thought it was a cute idea. So I had to try it. I have a lot of cleaning to do today but I wanted to make a quick card before I start. The hubby is out of town for a few days so I am going to get the house and laundry done today so I don't have to do anything else while he is gone. Except for stamping of course and feed the kids. Man, I hope I don't forget to feed the kids. LOL. My friend Kristine gave me this stamped image a while ago and I found it last night and thought I would make a card with it today. I hope you all have a great day! Just a quick card I made for my nephew. He likes fire trucks, cars, and trains. However, I don't have any of those stamps. I don't have this set either but I borrowed it from my demo. I colored the boat with markers. After I stamped it, it kinda was light in some areas so I just went over the whole thing in markers and I think it looks fantastic. He will like it. I stamped the word glub and cut it out and popped it up with dimensionals. 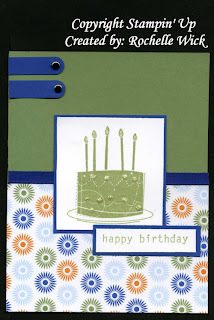 Here is another card we made in stamp camp last weekend. It is a case from Lori Tecler on Splitcoast. We changed the colors but everything else is pretty much a case. I love this card. I love the layout too. It was so easy to make also. For the scalloped edge we used the corner rounder from SU and went across the bottom of the paper to form a scalloped edge. 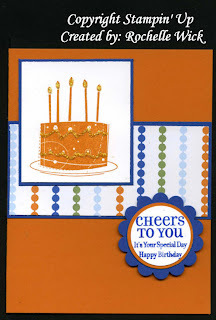 We colored the birthday stamp from so many scallops with markers to get it different colors. C: At the end of the post, the player then tags 3 people and posts their names, then goes to their blogs and leaves them a comment, letting them know that they have been tagged and asking them to read your blog. 1. Get ready for my stamp class tonight. 2. Pick up the girls from school. 3. Get dinner ready for my hubby and the girls since I won't be home. I would move to Minnesota and I would life the life. I would give my family a ton of money. I would set up a fund for my kids and their kids and I would go shopping. Maybe even every day. 5. For my 16th birthday I got a Pope John Paul key chain. No car, just a key chain. Seriously, don't do that to your teenagers. I am still bitter 22 years later. Kristine R My friend, who is so good to me. Sara's tag is the middle name game. Why couldn't I have a short middle name like Pam, Jan, Ann, or Jill. No, I have to have the longest middle name. Elizabeth. Oh well, here it goes. These are the rules:- You must post the rules before you give your answers. You must list one fact about yourself for each letter of your middle name. Each fact must begin with that letter. If you don't have a middle name, just use your maiden name. After you've been tagged, you need to up-date your blog with your middle name and answers. At the end of your post, you need to tag one person for each letter of your middle name. (Be sure to leave them a comment telling them they've been tagged and need to read your blog for details.) . L~Loving! I love to do things for others. I~ Imaginary! I have a huge imagination. Z~ Zany! I think I am zany, goofy, and silly. A~ Adventurous! I went skydiving, I think that counts as being adventurous. B~ Bashful! You wouldn't think so but I am kinda shy. T~ Thoughtful! I care so much about everyone. H~ Honest! One of my best qualities. These were hard to get a good picture of. But I wanted to show you that they were top folded cards. We made these at my stamp camp. 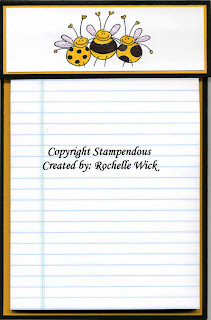 The background stamp is from the retired hostess set so many sayings. 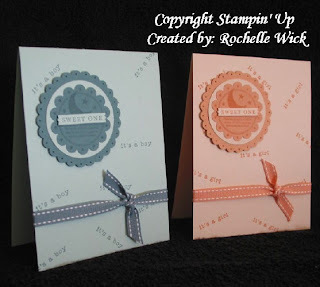 We stamped the sweet one stamp on the lighter paper and cut out the words sweet one and popped it up on top of the stamped image on the darker paper. The colors don't really look "true" in this picture but trust me, they are and they look way better in person. The big scallop punch is a Marvy Uchida punch, the small scallop punch is SU and the circle was already cut out by my demo so I don't know what she used. I think she used a large Marvy Uchida circle punch. 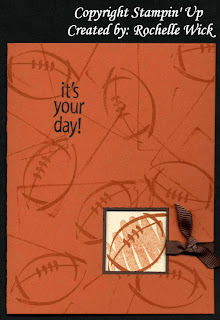 Here is another card that we made in stamp camp. The color combo I love. I would had never put these together but man, do they work well. Don't cha think? 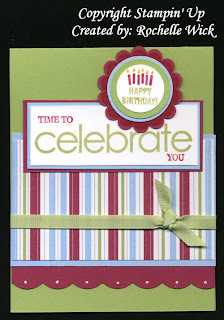 The greeting is colored with markers so that it could be different colors and match the paper. It is also popped up with dimensionals. 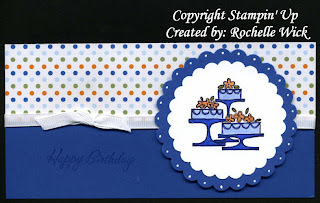 The butterfly stamp is a level 2 hostess set and the greeting is one of the Sale-A-Bration sets. Isn't this pretty? We made this in stamp camp. 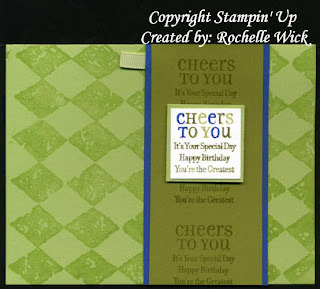 Cased from lovetostamp6, you can view her card here. I am totally loving the squares. The card is also square. It is 5x5. I don't make too many of these cards. Mostly cause I don't have any envelopes. But I really like them. I guess I will have to get some envelopes. Cause I really do like them. I see from the scan that my squares don't match up. Oh well, I love it anyway. We did masking on the image. We stamped the chocolate chip hearts first then masked them and stamped the pink ones. The big one is cut out and popped up with dimensionals. The image piece is also popped up with dimensionals. 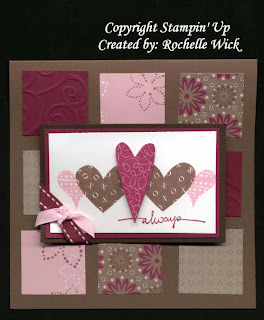 The square pieces are berry bliss designer paper with the exception of the pomegranate squares, those are cardstock and they are embossed with the cuttlebug. How cool does that look? 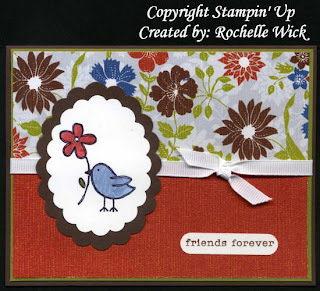 Here is a card we made at my stamp camp. Cased from several people on SCS. It seems to be a popular layout and design. We changed the colors up on ours. Isn't it cute? 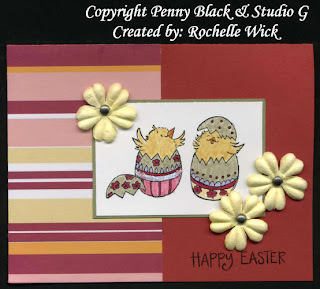 What I like best about this card is the layout and that you can make the same card with different colors. As soon as I get this set I am going to do that. Most of my stamps are outlined stamps that you have to color. Since I am going to be teaching classes, I am going to start acquiring more solid stamps. 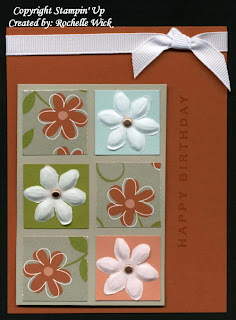 They look just as good and they make it easier and faster to make cards. I never realized that it would make such a difference. When I would go to classes or to stamp camp. I thought, how cute are these cards, and they were so easy. It never dawned on me that they were solid stamps. DUH!!! I always buy the “cutesy” stamps. You know those ones you have to color. Which, don’t get me wrong, I like coloring and I do like the stamps. But I am going to try to get some more solid ones. I think the class will thank me for not having to color every card. I was at Walmart the other day and of course I had to walk down the paper isle. I decided to get a three pack of these notepads. My friend Kristine had sent me one she made like this only hers was thinner and taller. I guess you could say that it was 1/3rd of an 8 1/2 x 11 inch notepad. She put a magnet on the back and it is on my fridge. I thought how cute to make bigger ones for next to the phone, on the desk, next to the computer or to give as gifts. I gave these two away to my demo's kids. They are super easy and a nice cheap gift to make. The Scor-Pal Feb/March on line magazine issue 3 is now up for your viewing. Check it out. I have two tutorials in this issue. 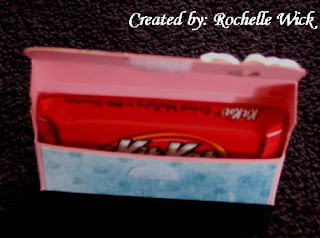 The Valentine Matchbook Treats and the Valentine Gum Holder. 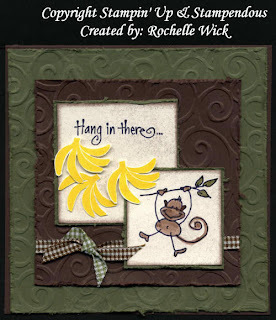 There are a lot of cute projects and cards in this issue. Seriously, check it out. If you don't have a Scor-Pal you should get one. 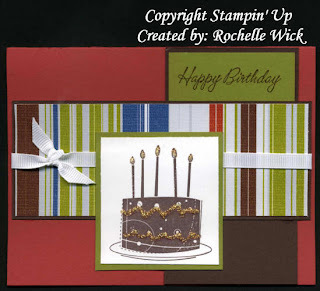 It is so easy to work with and comes with great directions for several cool card folds. I love it for my gift items that I make in bulk. I can score the whole sheet of paper and then cut out my pieces instead of cutting them all out and then scoring them all one at a time.